NEW! - Click here to see my received QSL cards. NEW! - Click here to see my received DX-ONLY eQSLs. NEW! - Click here to see my received SSTV QSLs. NEW! - Click here to see my QRZ page. 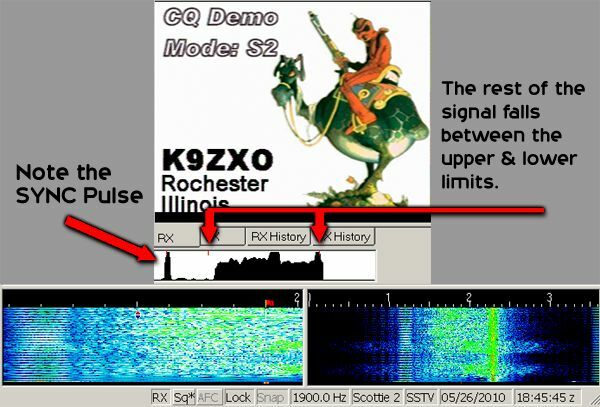 K9ZXO QSO activity by BAND and MODE. Amateur Radio instructional videos produced by Custom Video Systems, Angry Kitty Productions, and K9ZXO. CLICK ON ANY TITLE TO WATCH. K9ZXO Explains Hellschreiber. A detailed explanation of the history, operating theory, and operation of one of the oldest 'digital' modes. Modes, Modes, and More Modes. A quick explanation of the various contexts for which the word 'mode' is used. Audio modulation, distortion and square waves. A quick tutorial in what square waves are and their association with distortion and testing. What Are Maidenhead Grid Squares? This one is pretty well self-explanatory. Logging and ADIF. This video explains basic logging and Amateur Data Interchange Format (ADIF). 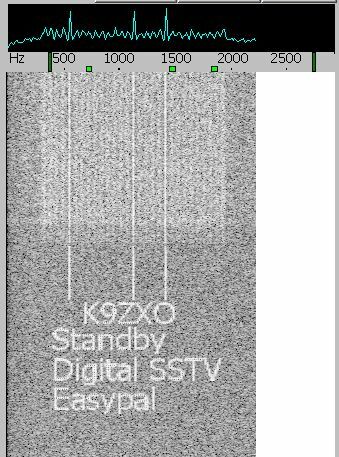 SSTV 101 by K9ZXO. 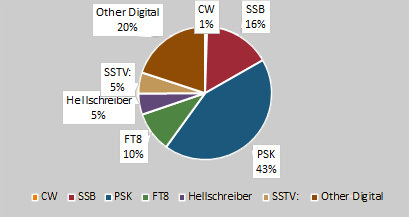 We are avid SSTV enthusiasts. This video is the first entry-level explanation of the format. K9ZXO weird Antennas. Have a look at a couple of K9ZXOs strange antennas. 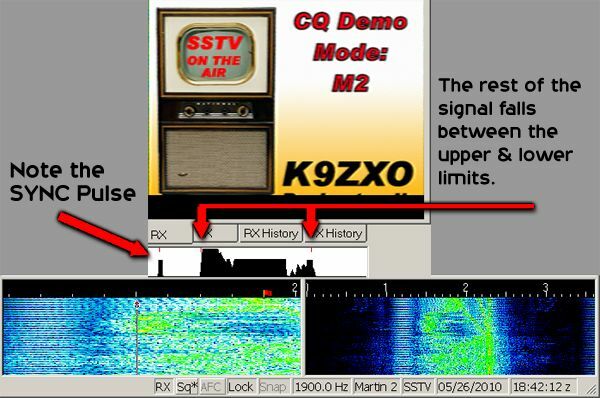 K9ZXO New Digital Modulation Monitor. This is a short demo showing my scope monitoring several different digital mode modulations. K9ZXO New 5 port HF antenna switch. K9ZXO shows off his home brew remote HF antenna switch. SVRC 70th Anniversary Dinner 3-3-2018. Ben Kiningham spoke at the Sangamon Valley Radio Club's annual dinner. 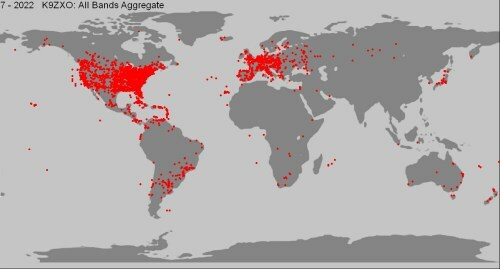 JT65 Tutorial. I admit - this video is very dated. It was produced when JT65 was first introduced. Watch it with your way-back machine. We've been operating mobile a lot lately. Here's how we pulled it off! One of my more recent projects was to construct a new antenna that would add a North-South pattern for my station. It also would be capable of switching from a horizontal dipole to a vertical - changing the pattern and giving it some weather protection on call. The second antenna is one i use for Field Day and other special events. It is about the smallest footprint 20 meter dipole I've seen. The antenna is fan-folded, inductively tuned with a built-in balun. The videois posted on YouTube (https://www.youtube.com/watch?v=eJ7fx3NjNZI) but can be seen here as well. APE AGAIN! - August PSK31 Expedition with the PODXS-070 Club. To encourage PSK31 operations in the field and to research and gain practical experience in the portable capabilities of the PSK31 mode, the PODXS Ø7Ø Club offers to the members the August PSK31 Expedition (APE) Award. The APE Award is offered to any Ø7Ø Club member who during the month of August, organizes, sets up, and operates a portable PSK31 expedition which meets all Award requirements. This year (as we did the last two years) my brother, Chuck (K9PLX) and I got together as a Special Event Station K9H to celebrate the 3rd annual excursion to our hometown of Jacksonville, Illinois - AND participate in the 070 APE event. See a short video of the 2010 APE here. 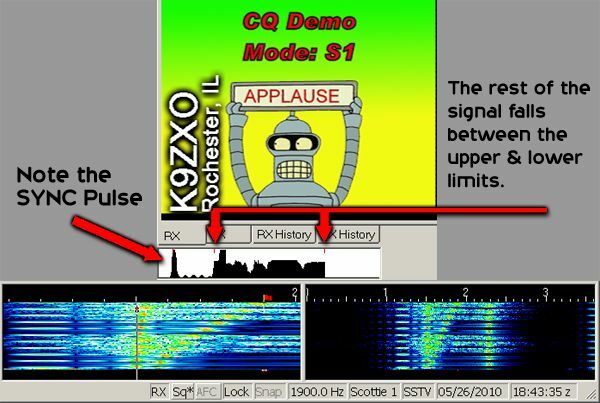 It is sometimes confusing for new digital hams to identify a particular digital signal by the sound of it or by what it looks like on the "waterfall" spectrum display. Here are examples of the more popular modes. Click on the speaker to hear the signal (in MP3) or click on the waterfall to see what it looks like. *Note: Hellscreiber is German for "Light Writer". Also named for the inventer, Rudolph Hell. Here is a useful tutorial on PSK communications. 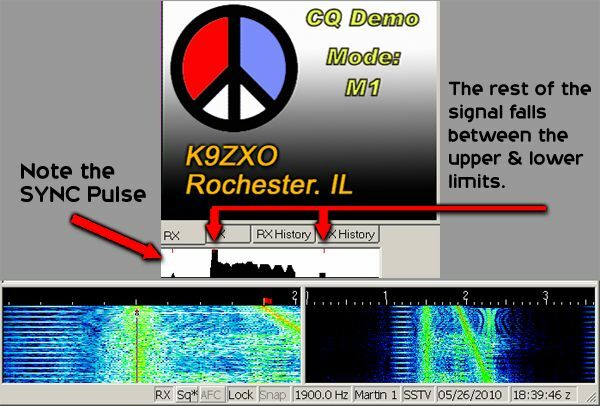 This on-screen video demonstrates a basic PSK QSO. Click the link to watch it. Return to the BRAINMIST menu.